In childhood asthma, the lungs and airways become easily inflamed when exposed to certain triggers such as airborne pollen. This can cause bothersome daily symptoms that interfere with play, school, sports and sleep. Childhood asthma isn't a different disease from asthma in adults, but children do face unique challenges. 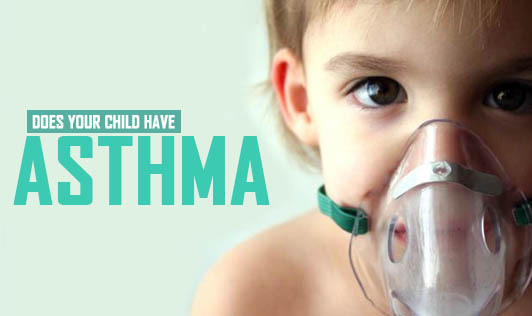 Unfortunately, childhood asthma cannot be cured and the symptoms may continue into adulthood. With the right treatment, you can keep your child's symptoms under control. Asthma signs and symptoms vary for every child and may get better or worse over time. While wheezing is commonly associated with asthma, not all children with asthma wheeze. Contact your doctor if you notice your child experiencing difficulty with breathing! Remember that asthma symptoms change overtime. Hence, it's important that you check in on your child on a regular basis.